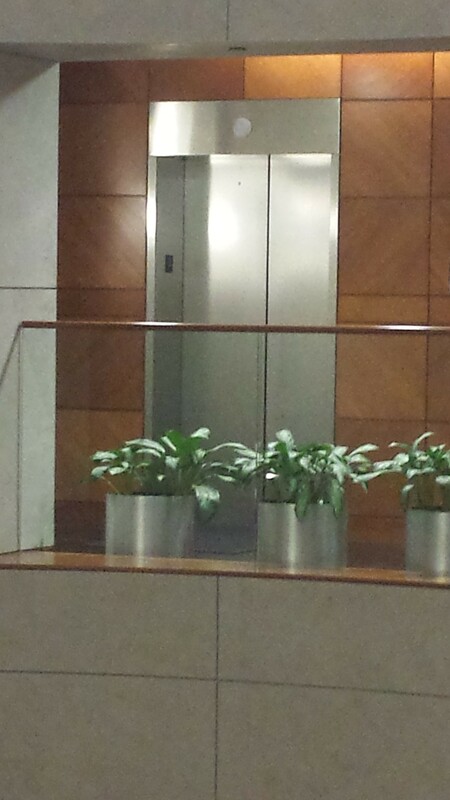 KC Restoration handles both commercial and residential requests. 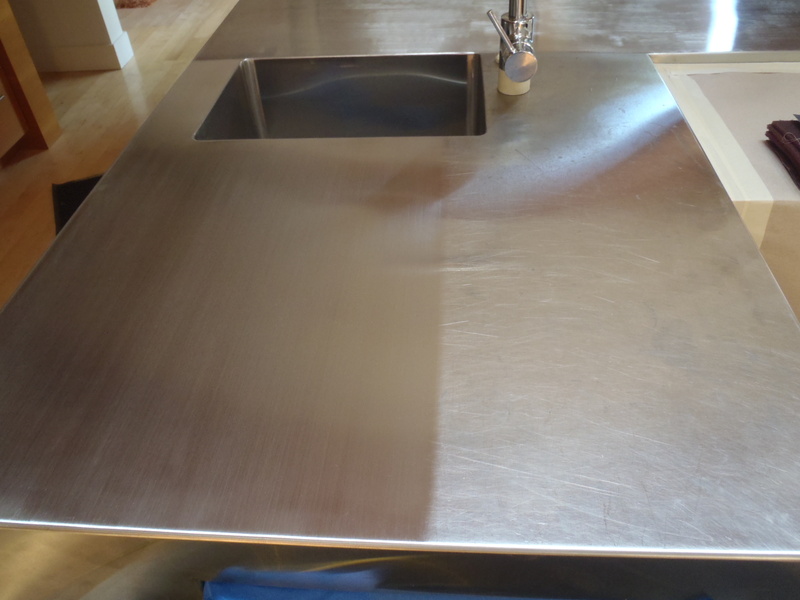 We recently restored a stainless steel kitchen counter at a residence in Mission Hills, KS. The first photo shows the durability of stainless steel. Although very badly scratched, once KC Restoration completed the refinishing process of the commercial counter, it looked like new. The difference is amazing, and the client was extremely pleased. Our company strives to make our customers smile. Contact KC Restoration for any of your commercial or residential metal refinishing needs. 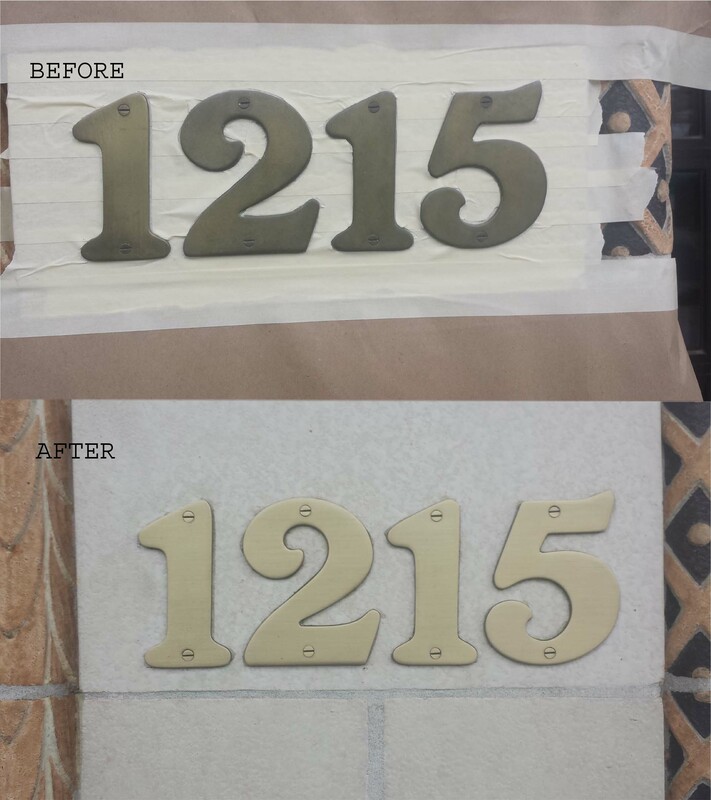 From custom patinas to revival of your existing metal surfaces, KC Restoration offers professional and timely service for any sized project. Our technicians love giving new shine to dull metal. 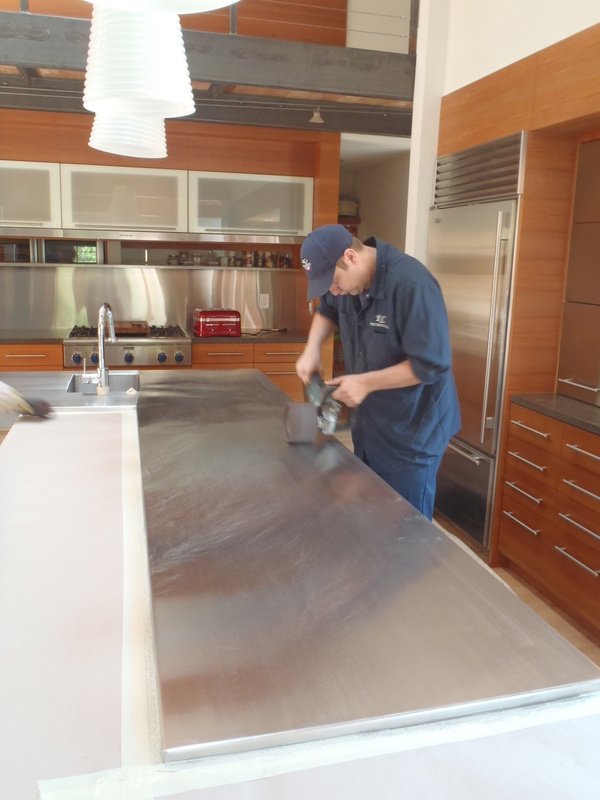 Here’s Justin working hard on the stainless steel counter refinishing. KC Restoration is excited to share our work at the Aladdin Hotel, a historic hotel in downtown Kansas City, MO built in 1925. Listed on the National Register of Historic Places, this hotel boasts 16 stories and was extensively restored in 2007 to bring back the original art deco ambiance. The original building was modeled in the Italian Romanesque style with a blue terra cotta pyramidal roof. 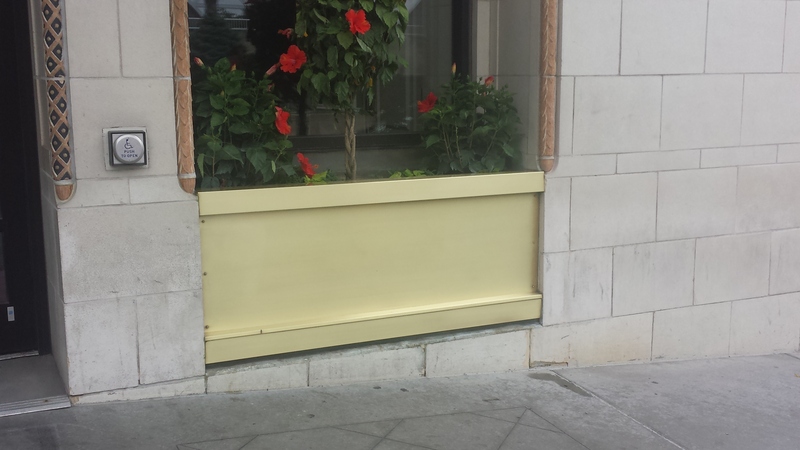 KC Restoration has just refinished the front bronze exterior planters, and are moving into the hotel to refinish their elevators. Through the years the hotel has played host to several well-known figures of the past including Mickey Mantle, Greta Garbo, and several supposed mobsters during the 1920’s and 1930’s. Imagine all the people who stayed with this grand dame and what would be said if the walls could talk. We are pleased to be part of the team working on keeping this historic hotel beautiful and vibrant. It is one of the gems of Kansas City’s architectural heritage. 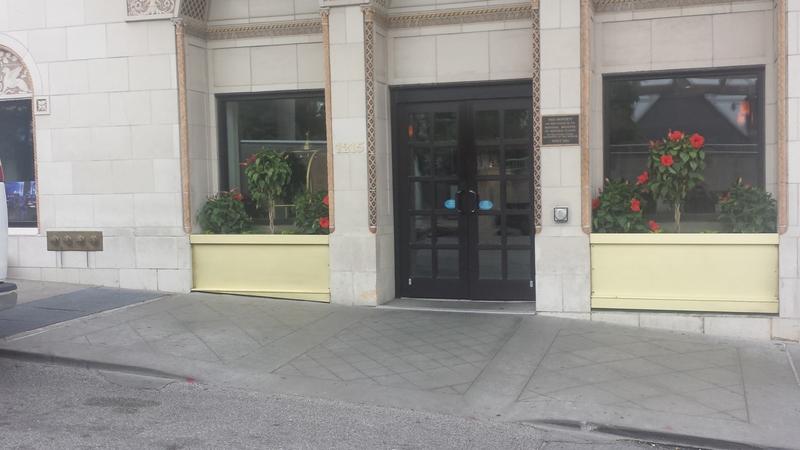 KC Restoration, LLC has been working at the Argus Building, managed by MC Realty Group, LLC. We have refinished and maintained both the stainless and wood. 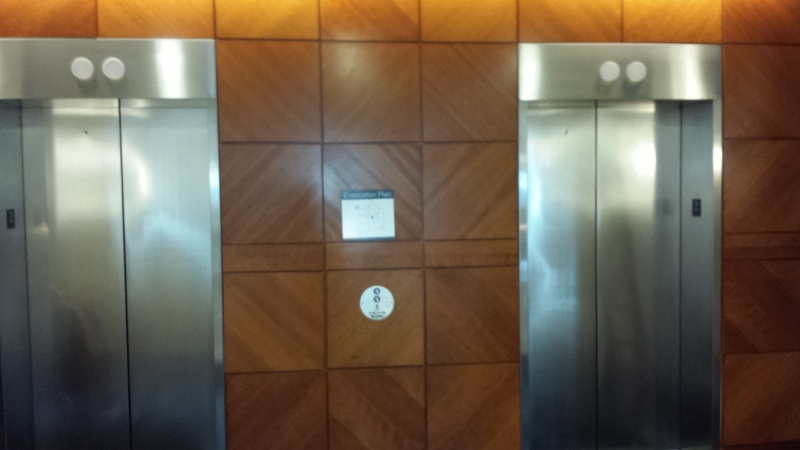 Here are some pictures of the work we’ve done around their elevators. The look is classic and tasteful. KC Restoration wishes to honor the heroes who have died in service to our country this Memorial Day. Their sacrifice is remembered and appreciated. Protecting our country and freedom allows business owners to thrive. Thank you. As former civil service professionals turned business owners, it is our pleasure and joy to be employers. We are happy to provide our employees a livelihood and they are proud that their work has given KC Restoration a reputation as the premier metal refinisher in Kansas City metro. We support providing jobs and are interviewing a former veteran and hope to hire him for a position with us. Although Memorial Day is to honor the ones who have made the ultimate sacrifice, we are privileged to support military causes and veterans. We have a for profit business in order to give to those who have given so much for us. A portion of our profits have been donated to: The Independence Fund, Companions for Heroes, Travis Manion Foundation, Fisher House, Wounded Warrior Project and The Mission Continues. This Memorial Day we feel especially blessed and thank the men and women who have died in the line of duty. Happy Memorial Day.